I'm back with Team Xyron to bring you some summertime inspiration. My kids are officially on vacation mode and home. This mommy couldn't be happier. When I was growing up summer always started out kind of sad. The last day of school usually ended up with lots of goodbyes and sometimes lots of tears too. Sometimes friends move away. For a child that can be a bit rough. What helped me a lot was a few of my dearest and sweetest friends wrote to me the entire summer after my family moved. Reading their notes was like having them there beside me. I am so glad that I encourage my children to write actual letters to their friends. It helps them stay close to their besties without being attached to a cellphone or computer for a change. And... it brings back fond memories of my childhood for me. 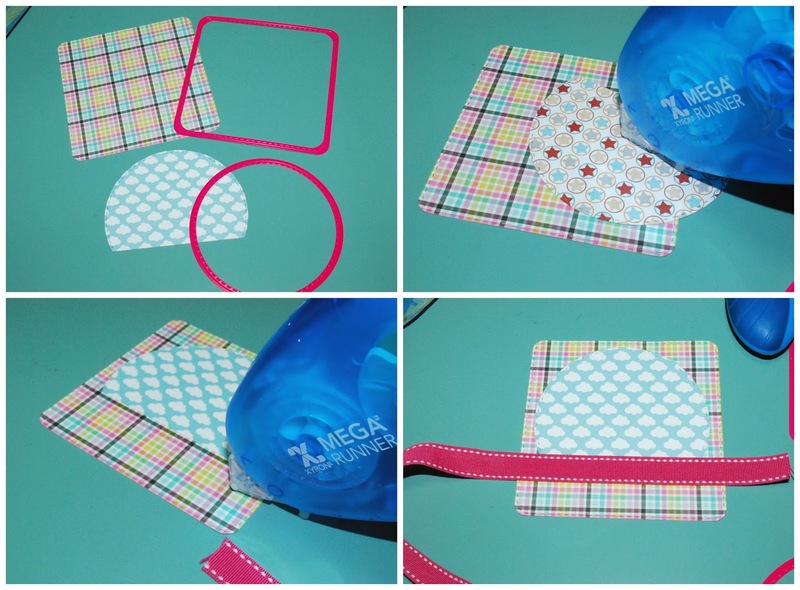 For my Xyron post this week, I made this adorable summertime card with a super quick and easy trick to make homemade puffy stickers. First I stamped my image onto mixed media paper with a black archival ink. Then I colored my images in using watercolor markers. I blended out the color using a water brush then added more layers of color for additional shading. Once my image was done being colored I die cut the image out using the matching die. I also used the matching die to die cut a sheet of craft foam. Die cut the image and foam layered together for a more rounded edge. 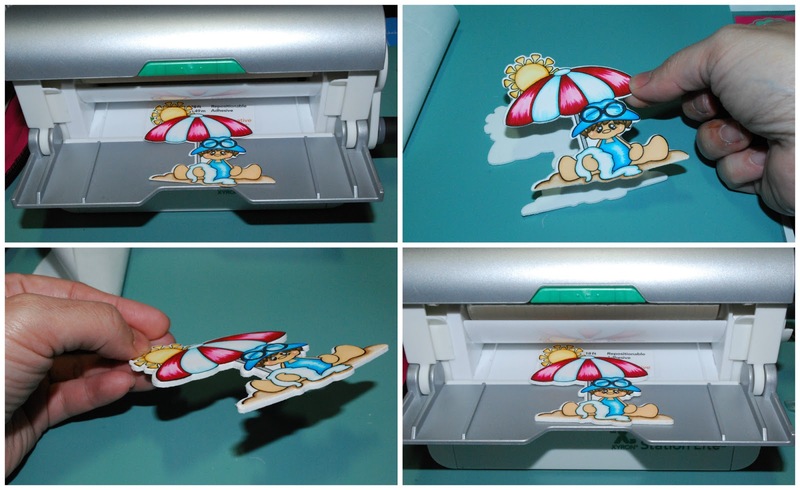 This is what gives them a 3D appearance, turning them into puffy stickers. I ran the colored image through the Xyron Creative Station Lite, adhered to matching foam cut out, then ran it through again to create an awesomely huge puffy sticker. I used a 5"x5" (folded) plain white cardstock, for a card base. I die cut a stitched square and semi-circle out of patterned paper. I attached the semi-circle to the square using my Mega Runner. I also laid down a strip of adhesive and ran grosgrain ribbon across the front, then trimmed the ends. I attached my puffy sticker to the card front then ran the entire card front through the Xyron Creative Station Lite. Then attached to the 5"x5" card base. I stamped my sentiment with more black ink. 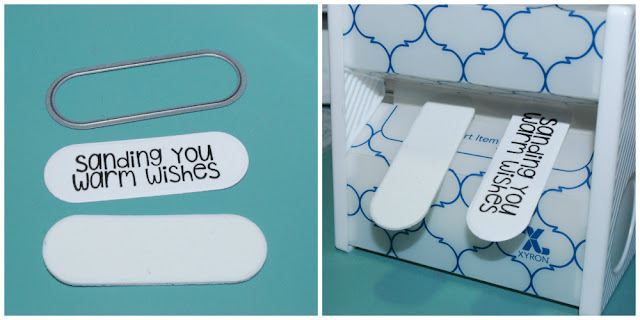 Then Die cut the sentiment and craft foam using an elongated oval die. I ran both pieces through a 3" sticker maker, laid them, then attached to the front of my card. Lastly, I attached a simple bow. I'm feeling happy just thinking about the expression on my friend's face when they receive this card. Now, go out there and write to a bestie today!